Famous people born on SEPTEMBER 22 are likely a Virgo who are always neat and well groomed. They wouldn’t step outside without being fully presentable to meet the world. They have a unique style and flavor that some people are envious of. However, they need validation. Being on time is one of the pet peeves of famous celebrities born on September 22. Basically, they go by the rules and regulations. They are logical and practical individuals who people look to when considering important events or decisions. Famous people born on September 22 are the planner everyone goes to when they need to make lots of money for charities. They put their heart into their work and it shows. But when it comes to their health, they could learn to be a little more consistent. Remember staying fit and healthy takes an act of promise and commitment. It doesn’t do them any good to eat a nutritious breakfast and pile on the junk at lunch. 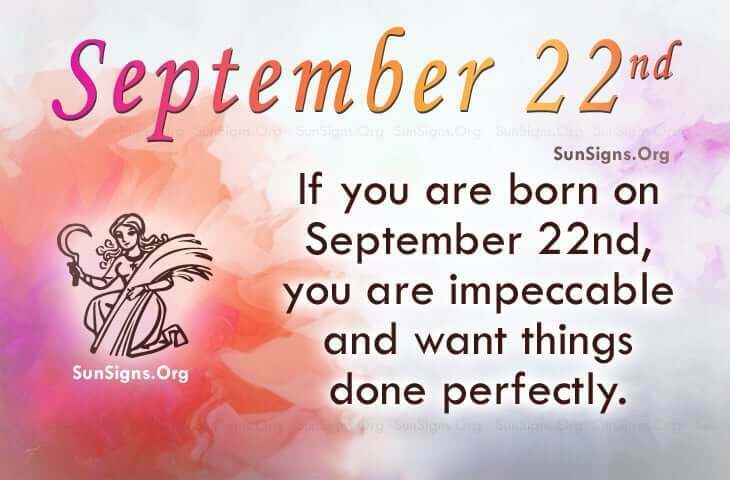 Famous people born on September 22nd want things done perfectly and they expect a great deal from their loved ones. This shows that they keep themselves up but they still seem to be unsure of themselves. Nonetheless, they care about others and are a loyal friend.